So this week’s challenge was to list the top ten books we would recommend to a particular person. I picked my 12-year old daughter for a couple of reasons. I love to share books with her, to read the same things and then take the time out to talk about them. And I think being a 12-year old girl is exceedingly difficult – as a time of transition it is a time when it can be hard to pick things to read that are interesting, challenging, and appropriate. To be completely honest, some of these she has already read, or I have already read them to her, but I couldn’t leave them off the list! And my list for her is actually much, much longer – as is my own list – if only there were more hours in the day! The Book Thief by Markus Zusak – My favorite book of all time, and one that I think she is now mature enough to understand and enjoy. Anne of Green Gables by Lucy Maude Montgomery – One of my favorite series when I was a kid and I think she would connect with the spunky main character. All Creatures series by James Herriot – This series would appeal to my daughter – a real country girl and animal lover whose wondering if her heart is too soft for veterinary work. Little Women by Louisa May Alcott – Just because it was my favorite book through my childhood. The Giver series by Lois Lowry – She has read The Giver, and loved it, so I’m hoping she will like to see the rest of the story unfold. Allegiant by Veronica Roth – My motive here is selfish – she’s reading it now and I want her to finish so I can read it! Island of the Blue Dolphins by Scott O’Dell – We’ve been promising to read this one together for a while now, but we need to actually do it! A Tree Grows in Brooklyn by Betty Smith – A classic, and a story about a strong girl overcoming the odds. I was a little worried when I sat down to read Grisham’s latest which returns to the setting of A Time to Kill, Clanton, Mississippi and lawyer Jake Brigance. Since A Time to Kill is probably my personal favorite Grisham novel, I was excited to return to those characters, but I was also worried it wouldn’t live up to the first, sequels are rarely as good as the original. Of course it didn’t live up to the original, I didn’t really expect that it would, but it came much closer that I could have hoped for. Brigance is back in the thick of race tensions when he wanders into the office one morning and opens the mail. A local wealthy white man, in the end stages of lung cancer, has hung himself over the weekend. Jake has never met him, but there it is – a letter naming him as the dead man’s lawyer and a new handwritten will, one that cuts out his family and leaves his substantial fortune to his black housekeeper, Lettie Lang. The courtroom is full of lawyers – some for the kids, some for the grandkids, some for Lettie – and Jake as he fights to see that his dead client’s wishes are fulfilled. Tensions are high and gossip runs rampant as this small town tries to figure out why he left his money to Lettie, and whether or not she should actually get it. Of course it all comes down to legal-wrangling and new information at the last possible second, with twists and turns that keep you guessing. Another page-turning courtroom drama from the master of the genre. Some of the most touching, amazing, and intricate novels being written today are Young Adult novels. But there are also a lot of YA books out there that are just a lot of fun – series with action and romance and fantasy – a quick read and a great escape. The Raven Boys series follows Blue, a teenage girl who is the only non-psychic in a female family full of them. Since she was small she has known her future – when she falls in love and kisses the boy he will die. So she avoids boys. Until she sees Gansey, a boy from the local prep school, on her annual trip with her mom to see the soon-to-be-dead walk past. Soon she is caught up with Gansey and his friends – Ronan, Adam, and Noah – the “Raven Boys” as they search for an ancient king and the ley lines that surround him. In this latest installment, The Dream Thieves, things are starting to get a little crazy now that the ley lines have been activated, focusing largely on Ronan. Ronan is falling deeper and deeper into some seriously strange dreams, he has to face his past and what it means to his future, while there are nefarious people looking for him and the power he holds. For some reason, I’ve had a harder time getting engrossed in this series, although the stories are adventurous and move quickly. The characters and their connections seem a bit disjointed for me at times, but I do love Blue’s quirky family! The Iron Fey series tells the story of the Nevernever, the world of the fey, where kings and queens rule the various Faery courts – Summer, Winter, and Iron. This world of the creatures and fairies of our childhood fairytales is often violent and vindictive, but often wonderful and beautiful, and separated from the world of humans by only a thin veil. The first books in the series follow the adventures of Meghan Chase, a human who was also born part fey. The most recent books in the series follow the adventures of her half-brother Ethan, completely human, but possessing the ability to see the fey. In this latest installment, Iron Traitor, Ethan is on a quest to help his fey nephew, Keirran, save his true love Annwyl. Joined by his girlfriend, Mackenzie, Ethan reenters the world of the fey out of a sense of loyalty and duty to his family. But how far will Keirran go to save the girl he loves? This is a great series, fun and light, full of adventure and fantasy and romance. Not my usual reading preference, but this series has become a guilty pleasure! The Lorien Legacy series follows John Smith, a teenager from the planet Lorien with unique powers who was sent here as a baby, along with eight others, to grow up, reunite as The Garde, and fight the Mogadorians who destroyed their home planet. In this latest installment, The Fall of Five, the Garde has been reunited and are hiding out in Nine’s penthouse in Chicago, planning their next move when they receive a message, in the form of a crop circle, from Number Five. Is it a trap? Or will they finally all come together and be able to defeat the Mogadorians? This installment was another fast-paced part of the story, with twists and turns and surprises around every corner. Just One Year picks up where Just One Day left off. In Just One Day, Allyson and Willem spend a magical day together in Paris but the next day when Allyson wakes up, Willem is gone, and she is heartbroken. Just One Year takes us along on Willem’s journey throughout the next year as he searches for Allyson knowing nothing about her – not even her name. But it is more than a desperate search for a girl he lost. It is also a search for Willem’s place in this world as he deals with the loss of his father, his relationship with his mother, his relationships with girls in general, and the ultimate need to do what is right, and what is right for him, instead of what everyone else wants and expects. There is not much of Allyson in this book, but I was not disappointed. Willem’s coming-of-age story is entertaining and touching in its own right, and his longing and searching for her provide the dose of expected romance. The Kinsey Millhone series is a set of mystery novels set in Santa Teresa, California during the 1980s. Kinsey is a former police-woman turned private investigator who lives in a converted garage owned by Henry, her elderly but vibrant friend and neighbor. In this latest installment, W is for Wasted, there are two mysterious deaths to be solved. Pete Wolinsky, a shady private investigator, is found dead of a gunshot in a nearby park. They a homeless alcoholic, R.T. Dace, is found dead with Kinsey’s name and address in his pocket. Surprisingly, he turns out to be a distant relative of Kinsey’s, has made her the executor of his will, and has left her half a million dollars. As she tries to investigate his past and learn more about this man she finds herself in a complicated maze of connections that will eventually tie the two men and their fates together. The Virgil Flowers novels are a spin-off of the Lucas Davenport series by John Sandford. Virgil is a detective in Minnesota, a member of the Bureau of Criminal Apprehension (BCA) which is led by Davenport. Virgil is thrice-divorced, in his cowboy boots and rock band t-shirts, spending his extra time fishing and attracting women, he is much more laid-back than Lucas, but no less effective. In this latest installment, Storm Front, Virgil gets a phone call telling him to meet an Israeli artifact expert who needs his help in recovering an important artifact stolen from Israel. It seems that a local minister/professor was in Israel on an archaeological dig when he absconded with the ancient stele that may reveal secrets about King Solomon. The thief is dying of cancer and seems to want to sell the artifact to the highest bidder, and there are a lot of interested parties – a TV star, Hezbollah, a Mossad agent, an archaeology professor… Throw in a Middle Eastern college student, a “loose” single mother of five, and the CIA and there is bound to be more than a little chaos. There was more humor in this book that others in the series, but the whole story seemed a little out-of-control at times, dependent on luck for resolution. Not as much of a page-turner as some of the other Virgil Flowers novels, but still a fun read. 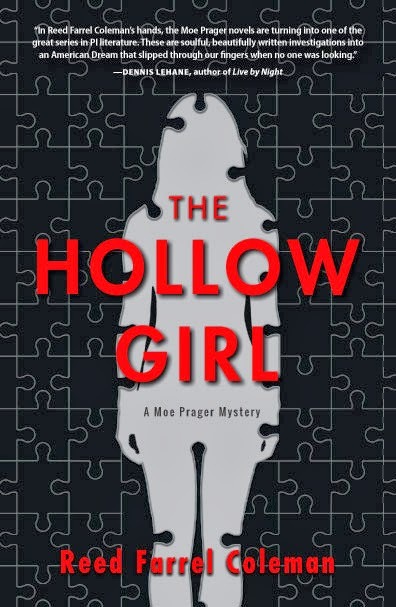 The Goldy Schulz novels follow the caterer as she manages to blunder over one dead body after another in Aspen Meadow, Colorado. And no matter how much the police detective (who also happens to be her husband) wants her out of harm’s way, she seems to stumble into that as well as she tries to get justice for the recently deceased.